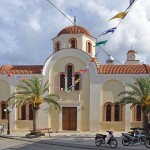 Palekastro is a small village at the east end of the island Crete. It is also a historic site. Already in Minoan times the region was a centre of trade. 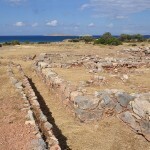 The port of Itanos, today several meters below sea level, is mentioned in ancient times. 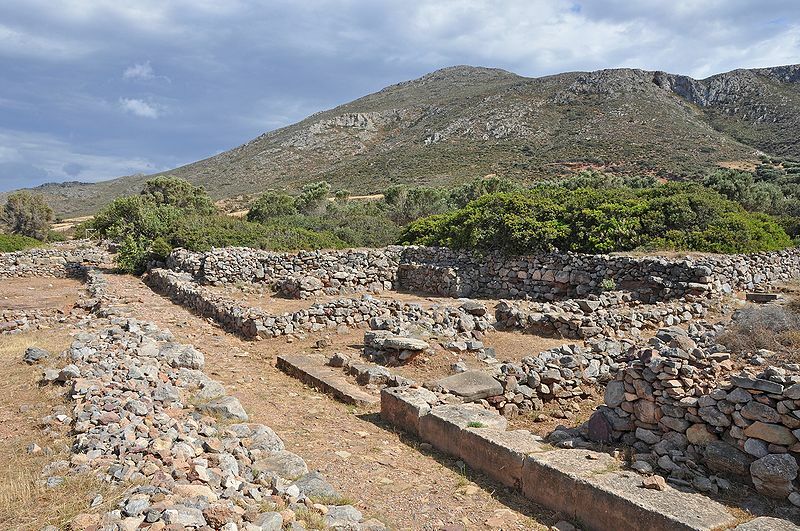 The extensive Minoan commercial settlement Roussolakkos close to the Chiona beach, excavated by English archaeologists, clearly shows that the region was one of the most important commercial centres of the Minoan culture in the extreme east of the island of Crete. 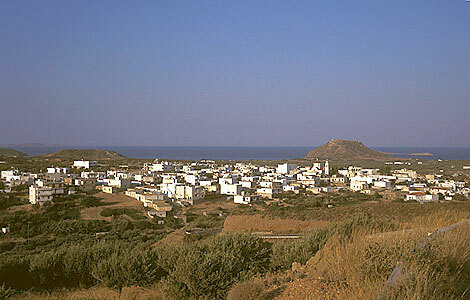 East of Palaiokastro rises the steep hill of Kastri, which separates the beaches of Kouremenos and Chiona. The hill was called Paleo Castro (Old Fort) by the Venetians, after which the current village is named. Here, the Venetians built a fortress, probably on the ruins of a preexisting Minoan fort, to protect the bay where the ships docked. The fort, however, was abandoned quite soon and already in the 17th century it was reported ruined. Today almost nothing survives of the fort. The village remains free from mass tourism. The main business of the 1100 inhabitants continues to be agriculture. Olives and grape vines are cultivated and a few fisherman remain. Commercial fishing however is difficult these days because of the substantial over fishing of the Mediterranean Sea. 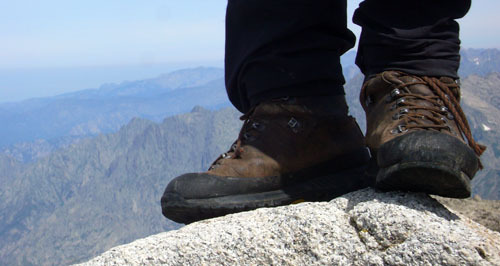 Tourism is an important source of supplementary income and is likely to remain so. 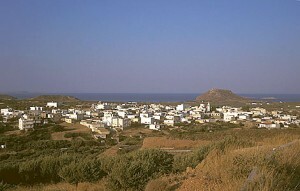 At the east edge of the village, visible from a distance, there is a flat hill called Kastri(s). This hill gave Palekastro its name in the Middle Ages when the region was dominated by the sovereign power of Venice. On its flat summit the Venetians established a fortress. In the course of the centuries the stones were cleared away and used by the people of the region to build houses. 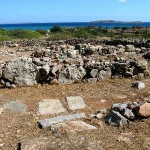 This is the site of an important Minoan city, located near Palekastro. 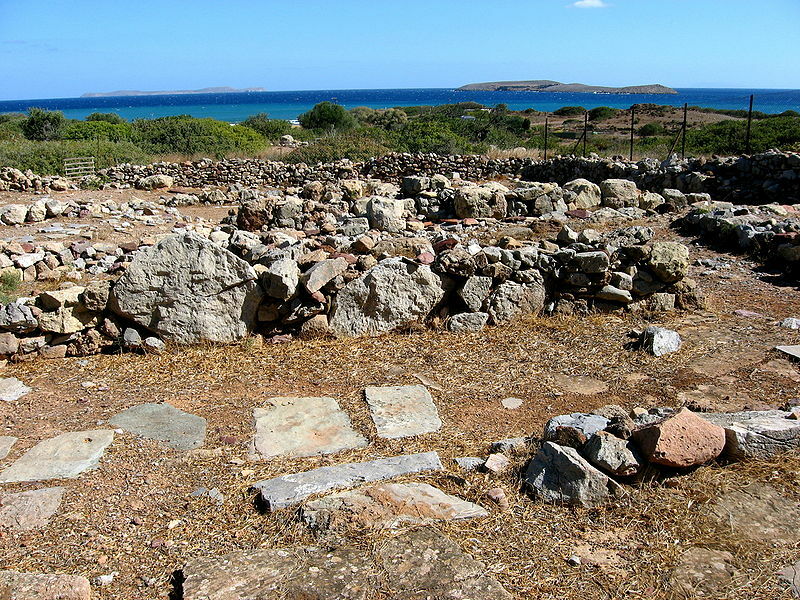 It is the only Minoan city to have survived intact. Its harbor, outlying settlements, sanctuaries and quarries are preserved under sediments accumulating over more than 2,000 years. 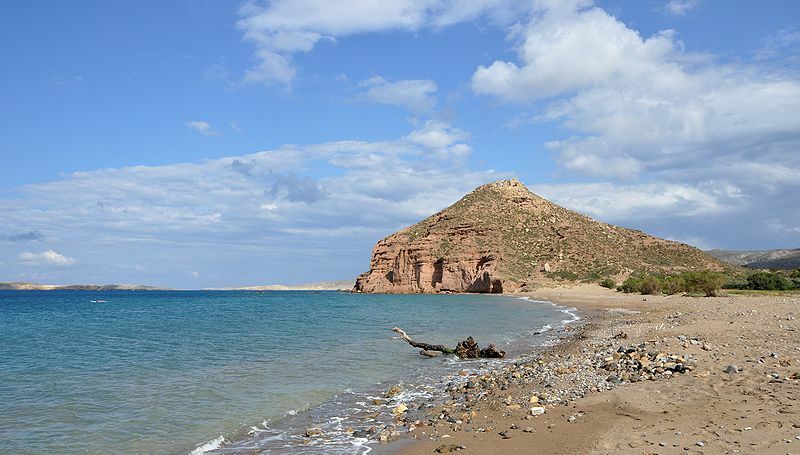 It was here, the ancient authors tell us, that Diktaian Zeus (the youthful Cretan equivalent of the classical Greek god Dionysos and Egyptian Osiris) was born and where this young god founded his holy city. 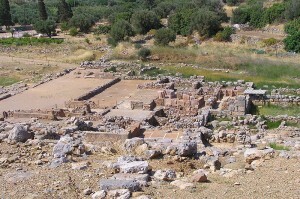 A temple to Zeus was built at the nearby Elaea promontory. It was also here that Jason and the Argonauts confronted Talos, the man of bronze, a generation before the Trojan War. 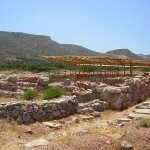 The ancient town was in use from Early Minoan IIA to Late Minoan IIIB. 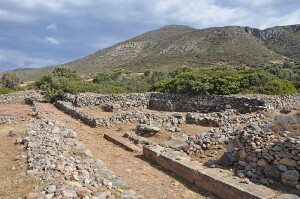 Minoan houses and streets, and offerings from the Greek temple of Diktaian Zeus have been excavated at the site. Among the most beautiful artifacts attesting the worship of Diktaian Zeus is a unique gold and ivory statuette of the god made ca. 1500 BC. See this and more finds at the museum in Sitia. 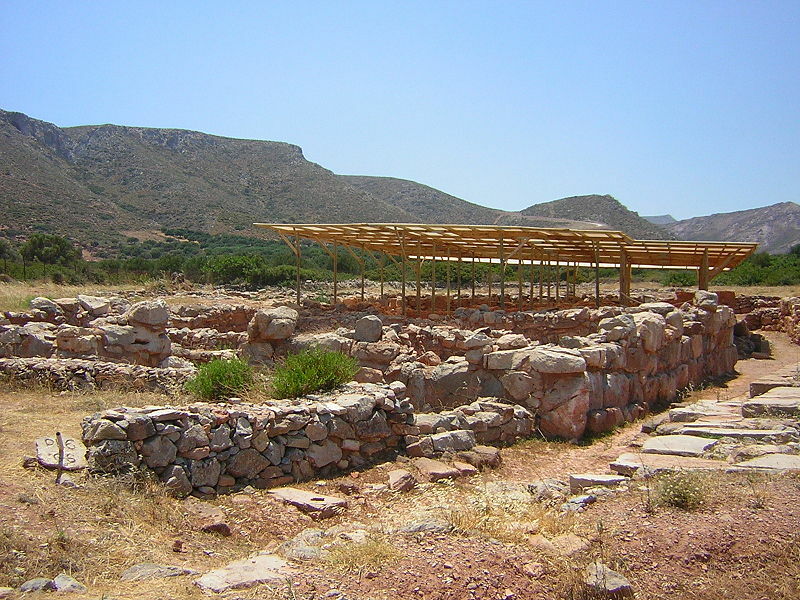 Zakros is another site on the eastern coast of Crete, containing ruins from the Minoan civilization. The site is often known to archaeologists as Zakro or Kato Zakro. It is believed to have been one of the four main administrative centers of the Minoans, and its protected harbor and strategic location made it an important commercial hub for trade to the east. 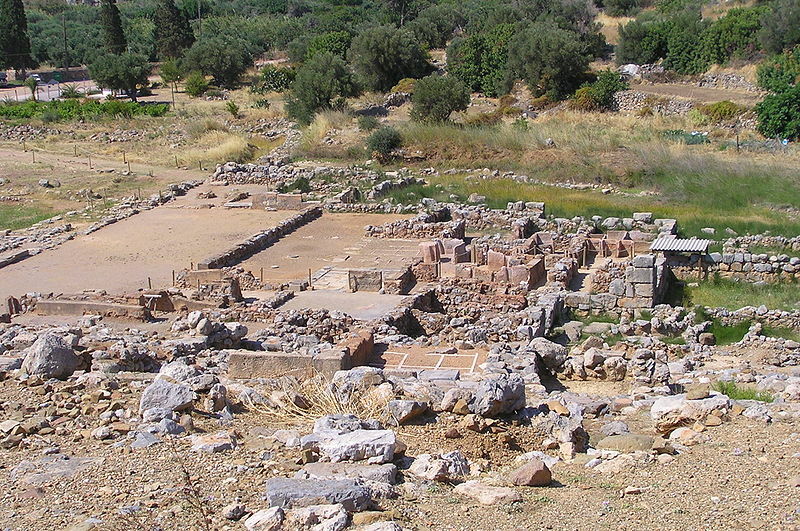 The town was dominated by the Palace of Zakro, originally built around 1900 BC, rebuilt around 1600 BC, and destroyed around 1450 BC along with the other major centers of Minoan civilization. Extensive ruins of the palace remain, and are a popular tourist destination. Zakros is sometimes divided into Epano Zakros (Upper Zakros), the portion higher up on the hillside, and Kato Zakros (Lower Zakros), the part near the sea. 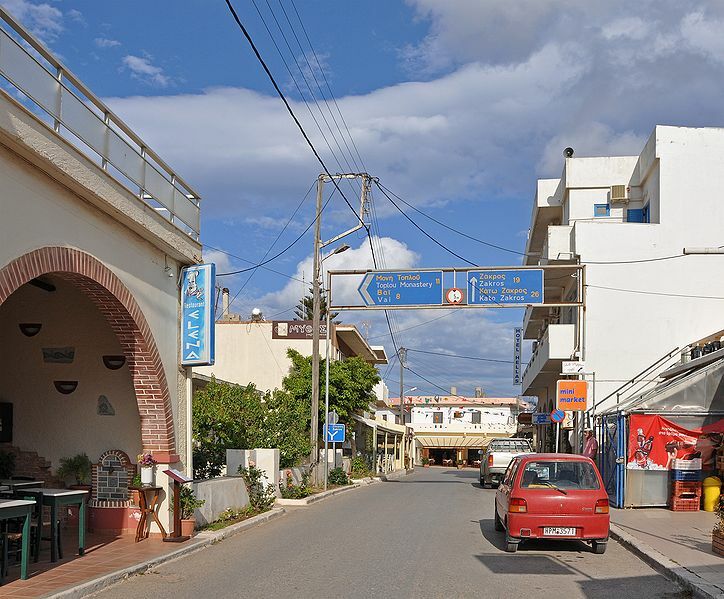 Epano Zakros is 38 km from Sitia. The road passes through Palekastro where it doubles back towards the south. 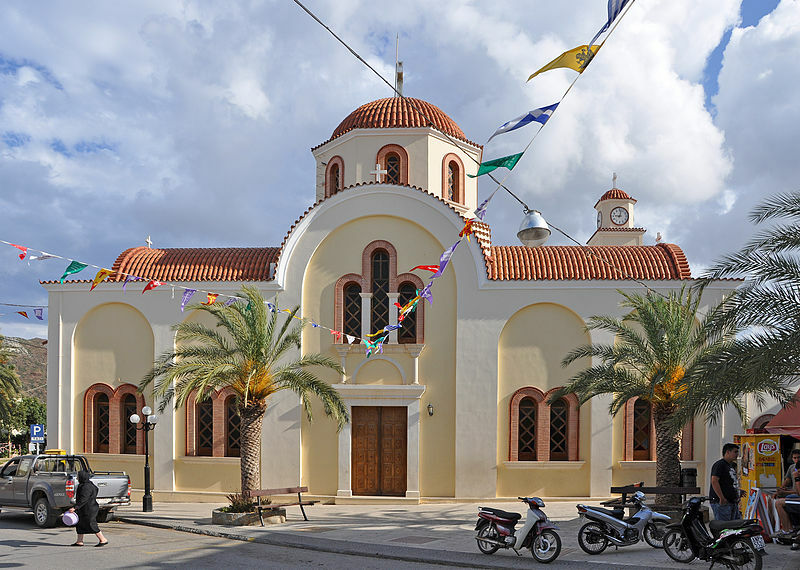 A comparatively large village, Zakros includes in its community the following smaller villages: Kato Zakros, Adravasti, Azokeramos, Kellaria, Klisidi and the small hamlets of Ayios Georgios, Sfaka, Kanava and Skalia. 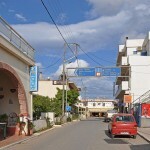 The asphalt road ends at Kato Zakros. A ravine known as the “Ravine of the Dead” runs through both the upper and lower parts of the ancient site, named after the numerous burials that have been found in the caves along its walls. 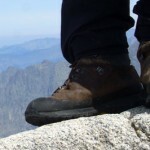 Hiking: If you come to Kato Zakros, you must visit the famous wild Gorge of Zakros with the spooky name: “Deads’ Gorge” or “Ravine of the Dead”. It is named after the numerous Minoan burials that have been found in the caves along its walls. 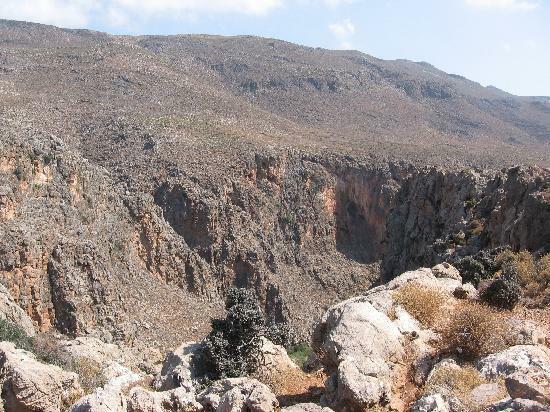 The canyon is easily accessible and hiking from Zakros village takes about two hours. The site of Zakros is located near the exit of the imposing canyon. It is the fourth largest after Knossos, Phaestus and Malia. It is the only palace left with its treasury not looted, offering several masterpieces of art to the archaeologists. It was built in 1900BC and was destroyed permanently in 1450BC, just like all the other palaces in Crete. It has 8000 sq.m area and was built similarly to Knossos and Phaestus. The palace has a central courtyard, a labyrinth and a temple. The extravagant findings (leaves of gold, ivory, jewelry, vases, etc. 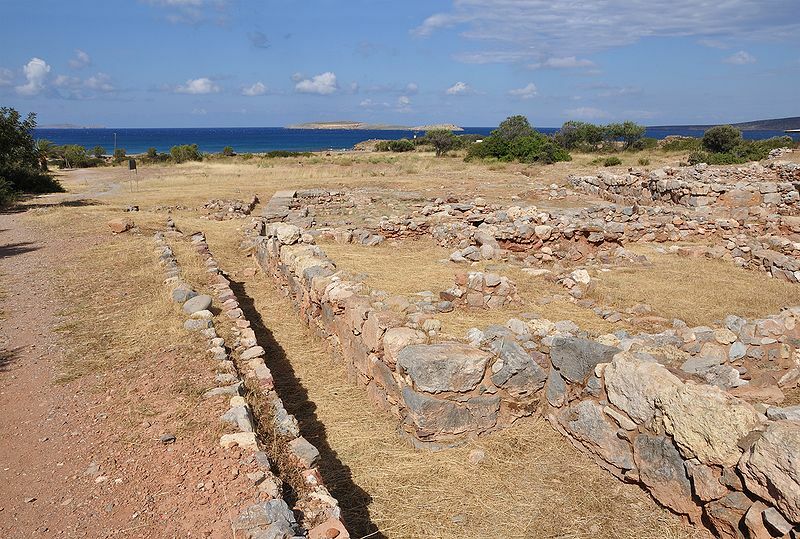 ), imply that there was a close relationship with many other important cities of the time in the Mediterranean Sea. The archaeological site is open to public, but the most important findings are kept in the Museum of Heraklion. If you have a car it is worth driving the old dirt road to Zakros, running alongside the walls of the gorge. In some places the road passes just next to the steep cliffs and the view is staggering. When you reach the village, you should take a walk in the narrow streets and visit the churches. You can also visit the springs of Zakros, that form a small oasis with plane trees right in the middle of the wild, dry landscape of Eastern Crete. 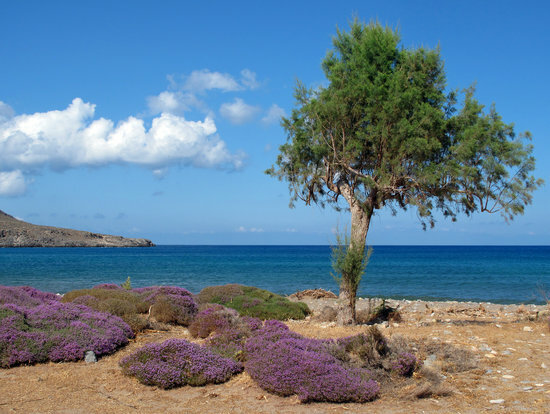 Karoumes beach is located 29km southeast of Sitia. You’ll find it at the exit of the beautiful gorge of Chochlakia, which is worth investigating. In order to get to this isolated beach you have to walk through the gorge, since the wild terrain of the area has kept off the roads. Therefore, in order to come here you can leave your car in the beautiful village of Chochlakia and follow the trail starting 1 km east of the village. The gorge is 3.5 km long and has running water until the summer. Walking in a very slow tempo it will take you 1.5 hours, but the canyon is inaccessible during the winter. The path along the river is breathtaking, as the gorge with its tall cliffs takes you through the wild mountains. During spring you meet several ponds and a great variety of plants. Near the exit, the high surrounding walls turn to a small valley, just before walking onto the beautiful, secluded beach of Karoumes. The beach has small pebbles and the water is always calm, since it has eastern orientation. There are many trees offering shade and some rocks on the north side of the beach. The beach is ideal for seclusion because of its remote position in relation to the villages and the access on foot. There are as well two tiny secret beaches with a length of only 3-5m located 300m and 400m south of the main beach. The Cave of Pelekita is one of the largest caves in Crete, having a total length of 310m. Its large size, its rich decor of stalactite and stalagmite not to mention the spectacular boulders make this rather unknown cave unique on Crete. 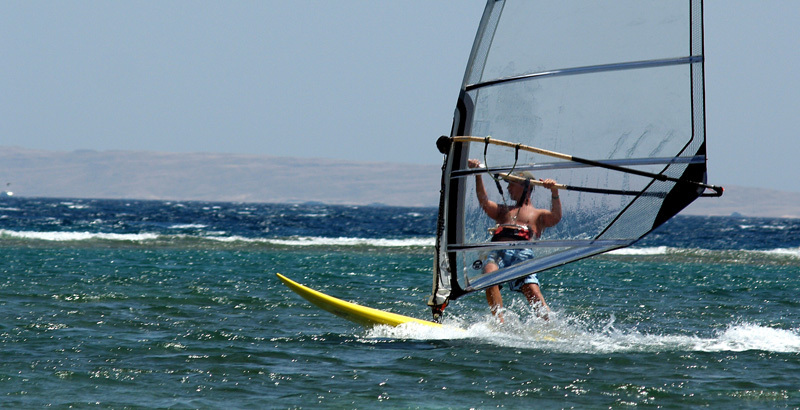 It is located 3 km south of Karoumes beach. You will find the cave located at an altitude of 100m, at the foot of Mount Traostalos, well hidden in the bare rocks of the wild landscape. The cave entrance is located 5 km northeast of Kato Zakros, in the position Pelekita or Sikia. You will locate it by the fig tree at the narrow entrance. In order to admire the interior decoration of the cave, make sure to have a couple of torches with you. To reach the cave, the visitor can either walk for about an hour from Kato Zakros or 15 minutes when arriving from the sea shore. (Home grown organic vegetables, extremely fresh as the fish and meat. The recipes are simple of the Cretan diet, but the difference in the freshness of raw materials can be felt).